Hubby and I have been wanted to try out the Cintra Street Yee Sin Kai Chok for quite sometime. But since my gal don't like porridge since baby, we did not have the chance to try it out. Not until one night when my gal was too full to consume anything since she had a late afternoon tea that day. 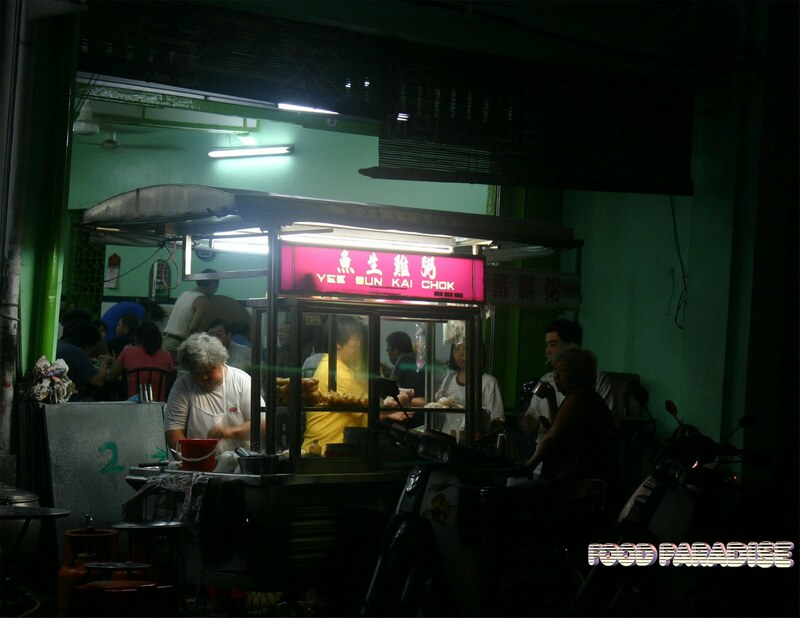 So we have the opportunity to savour the hot pipping Yee Sun Lai Chok. 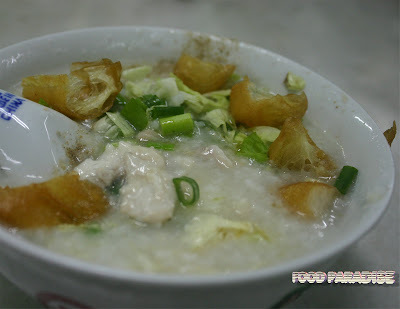 I ordered Chicken porridge, Yee Sun porridge and also a plate of pak cham kai. 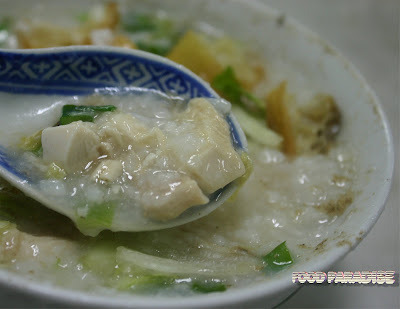 I opt for the chicken porridge as hubby go for Yee Sun porridge. My bowl of chicken porridge has a very nice aroma. And I can't wait to try it after I finished snapping the photos. Inside the porridge there are some thinly sliced ginger and also chicken chunks. Apart from that there are also some sprinkle of spring onion, lettuce, you tiaw and pepper. I found that they are too generous in sprinkle pepper in my bowl of chicken porridge. 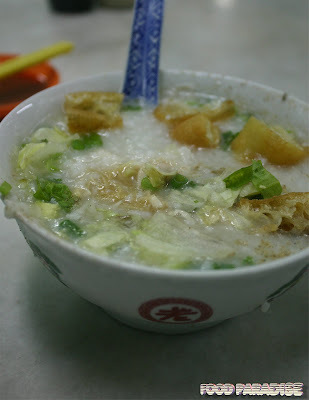 Hubby opts for yee sun porridge (fish porridge). 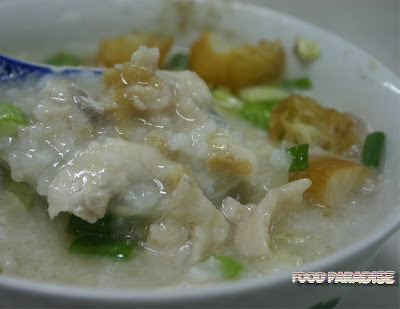 Hubby commented that the fish is very fresh and the porridge is rich in flavour. Hubby is the fans of pak cham kai. 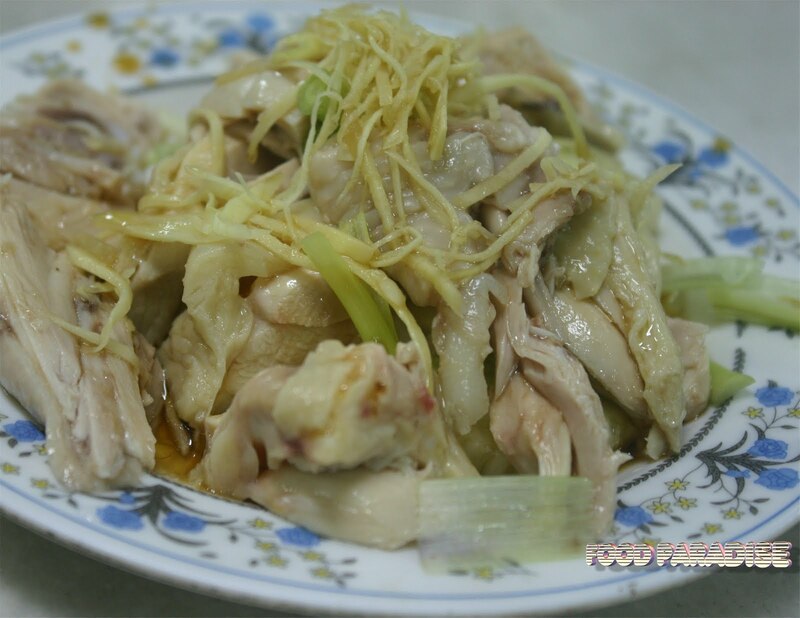 And every where he went and saw this dish, he will usually order it and try. Hubby and my gal complained to me that I should order a big served of pak cham kai for them. lol As they enjoyed it very much. Uh? Got attitude problem one ah?? But yet still have many people visiting the stall. I love porridge even if the weather is really hot..
this stall punya chuk very nice 1 loh..i love the fish chuk! this is definitely my kind of food..the chicken the ginger on it and the porridge. would want to try it if given a chance. 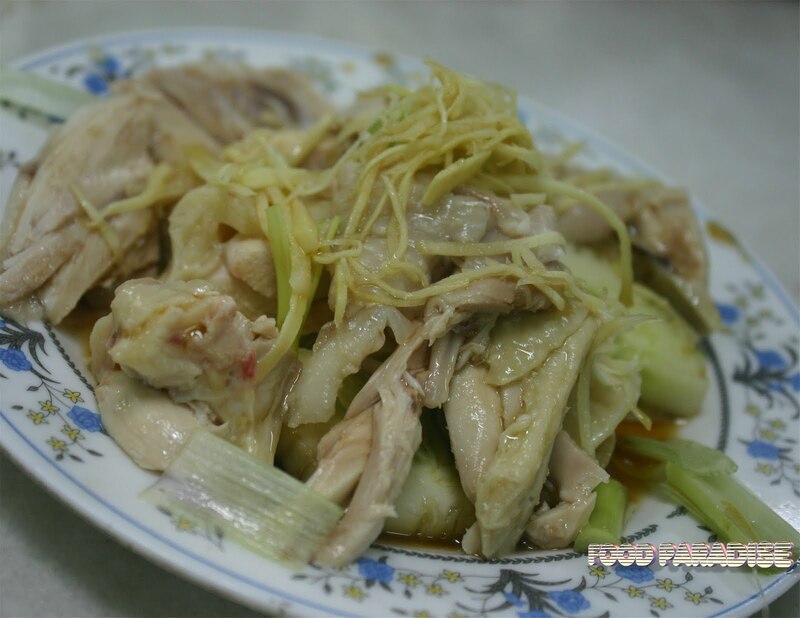 The chicken porridge looks delicious especially the chicken.